If you cannot find the place of origin for your Irish ancestors then it is always a good idea to look at other Irish immigrants who formed part of their community. The main reason for this is that immigrants to the United States and Canada sometimes traveled in groups and often participated in chain migration. 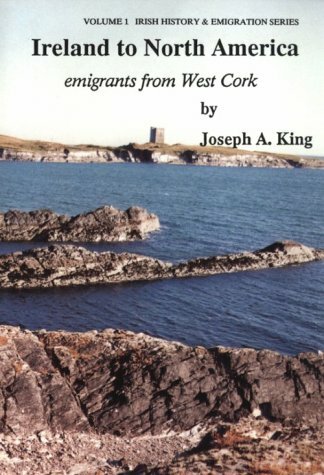 One book that provides an excellent example of this is Ireland to North America: Emigrants from West Cork by Joseph A. King (1994, K & K Publications, California). 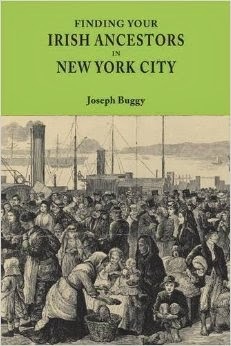 The publication also provides a case study of a feature of Irish immigration to North America that is less well studied - initial immigration to British North America (Canada) and then migration on into the American mid-west states. Emigrants from Schull Civil Parish, County Cork are the focus. So, if you have any Driscoll, Mahoney, Donovan, Regan, Sullivan, Daly, Brien, Coghlan, McCarthy, Hickey, Kingston, Goggin, Sauntry or Lucey ancestors and you found the adult immigrant generation living by the Miramichi River in New Brunswick in the 1820-1840 time period and/or the next generation in Wisconsin, Minnesota, or Washington states, then they may very well have been from that part of south-west County Cork. When you find the civil parish of origin for your Irish ancestors then one of your checklist items should be to find out if a parish history has been written. The quality of such publications ranges from the forensically brilliant to the superficially glossy and everything in between. Regardless, if at all possible, it should be consulted as the type of information they contain might concern your ancestors and not be found elsewhere. For example, I recently had reason to read Forkhill Protestants and Forkhill Catholics, 1787-1858, a truly outstanding publication about Forkhill Civil Parish in County Armagh. That important point is a somewhat tenuous segue into the recent announcement by Ireland XO of a new website feature called Chronicles. Chronicles allows those with relevant information to add people, buildings and events associated with a particular civil parish. Their helpful video explains what it is all about and upon viewing, it struck me that it has the potential to become the 21st century parish history. Labels: Armagh, Canada, IrelandXO, U.S.A.